We are pleased to announce the release of ReliaSoft 2019 offering new capabilities and improvements for ReliaSoft software products. This latest release is focused on comprehensive solutions, which benefit users with various reliability engineering challenges and provide essentials tools to manage and upstream maintenance optimisation processes. 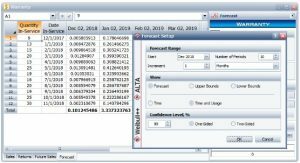 A new format for warranty data analysis in Weibull++ enables users to predict the number of failures based on the time and usage, as well as the time. It is now possible to show the total number of warranty returns based on both values. New and enhanced options for teams and multiple crews task assignments are now available in BlockSim and RCM++ along with expanded spare part pools, and models for costs and duration. A new diagram specifically designed for the process industry is now available in BlockSim, where users are able to model reliability and maintainability of their equipment and model multiple flow types within the system. Process Flow is an essential model-based tool which can be used for visual design and optimization of the technical processes. 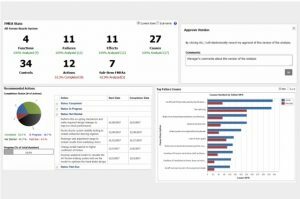 SEP offers improved user experience, offering more flexibility to configure dashboards and the display to meet personal preferences and the ability to track actions assigned in FMEAs or other reliability project planning. What’s New in Weibull++ ? What’s New in Lambda Predict?